• Not having much luck with men? 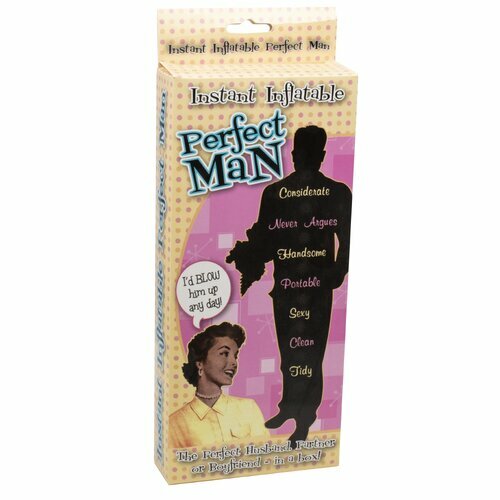 Introducing the Perfect Man! Showing off his chest in a gaping white shirt, the Inflatable Perfect Man is a hysterical addition to any party or hen night. Dressed to impress and bestowing a heart and roses, he’s the perfect gentleman. Easy to blow up and deflate for simple storage, this cheeky chap measures 50cm tall when inflated. Even though he may not be the tallest of men, size doesn’t matter when it comes in a package so doting and eager to charm.